Nora Lederer and Jia Zhao, the founders of nojiberlin, are a German/Asian design team that recently formed while studying together at the University of the Arts in Berlin. 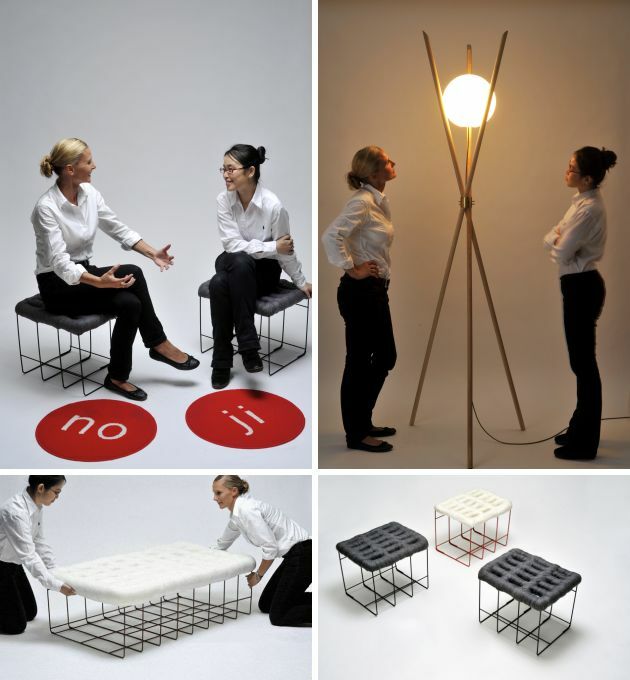 The duo have created some new seating and lighting pieces that they will be exhibiting at the upcoming 2010 IMM Cologne furniture show. 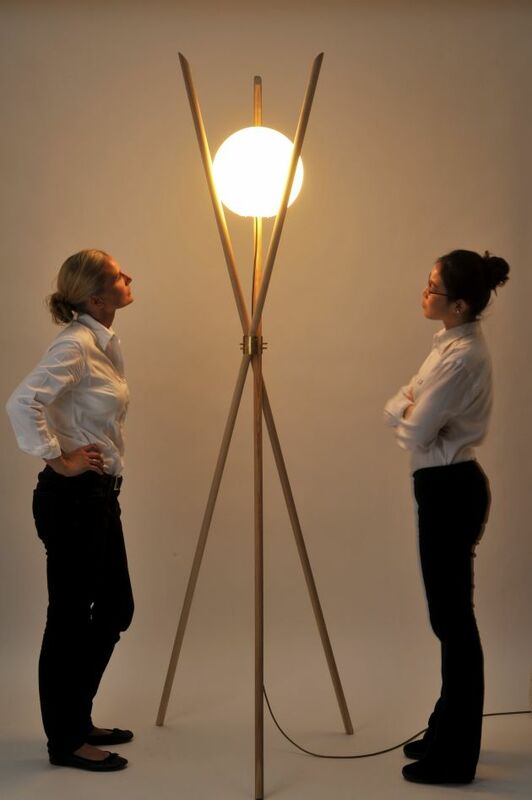 A simple construction made of three wooden sticks and a brass ring suspending a globe light in its airy place. Elegance on three legs. 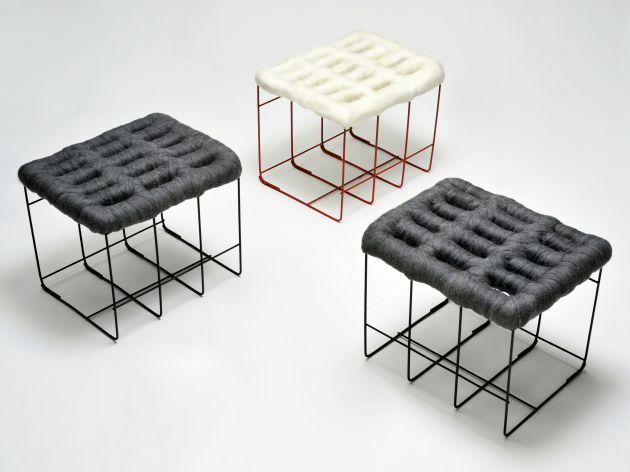 The stools in the sheep series create a symbiosis of cold and warm, rigid and soft materials. 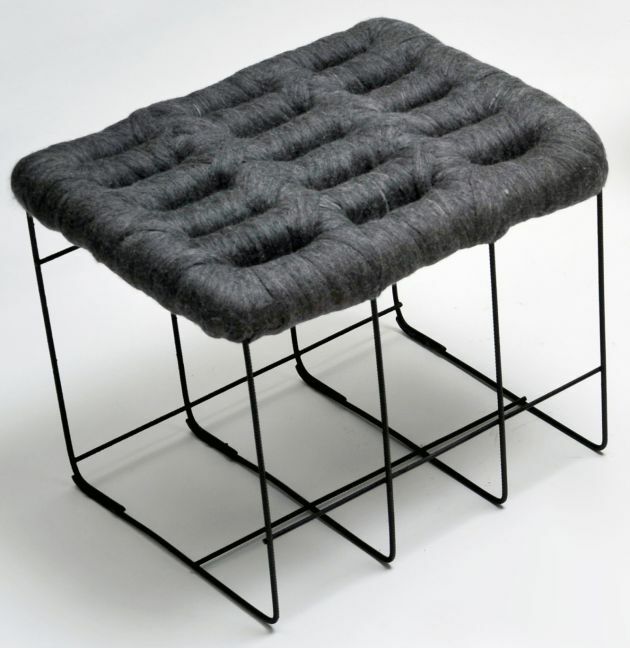 Concrete steel is upcycled through handmade felt to create vanguard-seating furniture. The lounger SNOW plays with contradictions and reminds us of snow on a fence. 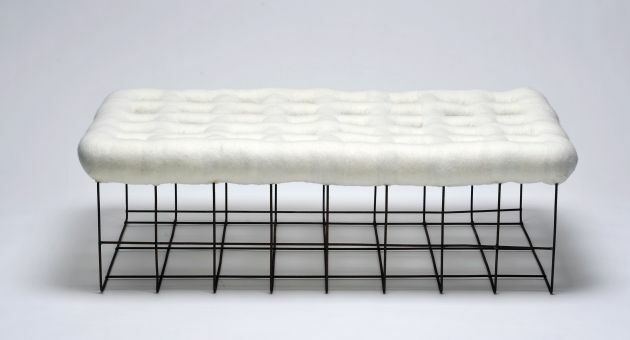 The construction is made of rusty industrial steel, but the cushioning is made of handmade merino wool felt. 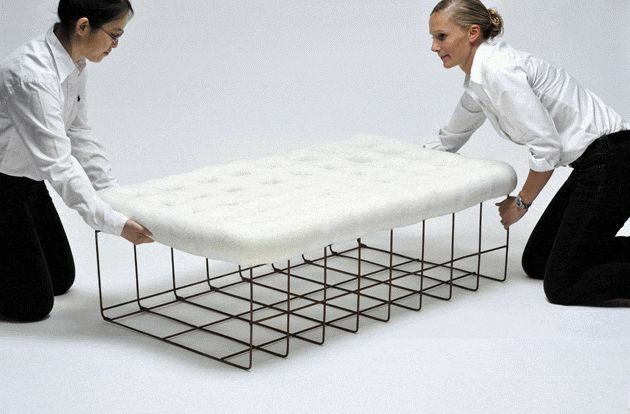 This creates a symbiosis between an industrial product and handcraft (luxury), combining rigid and soft, light and dark, and reflecting the interest of nojiberlin in merging opposites. The idea for the MAKI collection came to us while eating sushi. 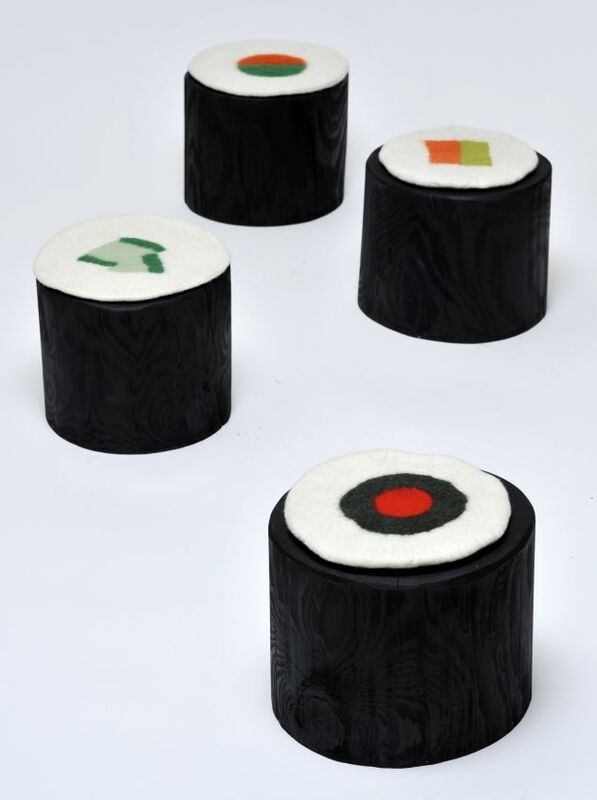 The stools are abstract versions of maki rolls inspired by the original. 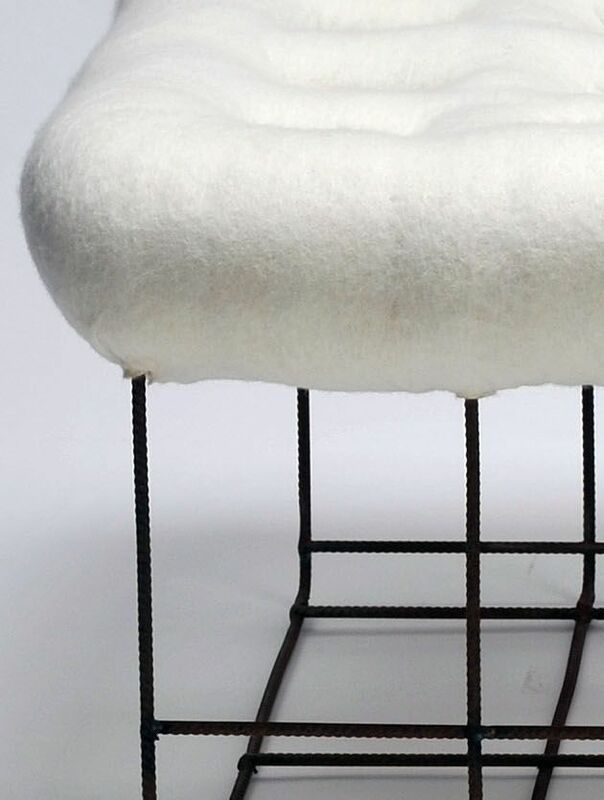 One wants to sit down on the funny little chairs made of wood and felt and enjoy the sensation of being like a child. nojiberlin loves the carefree nature of youth. Visit the nojiberlin website – here.